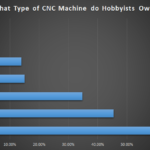 I launched a survey a few days ago and we’ve already had over 300 responses as I write this–clearly there’s a lot of passion amongst the Hobby CNC crowd. 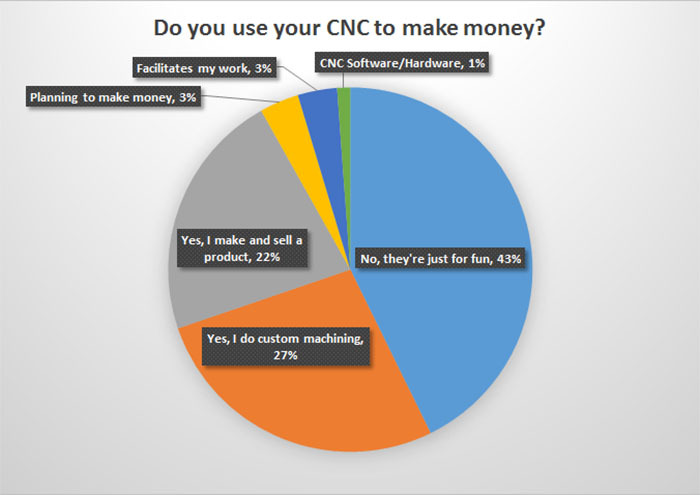 I can’t blame them–I love CNC and every aspect of it. 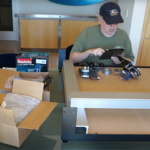 MakerSpaces can be a great resource in the community–an opportunity to get your feet wet with CNC, get some training, and make some parts without having the big up-front investment needed to acquire your own machine. However, not too many in this audience have ever taken advantage of such a resource–just 7% of you. I’m not sure if that’s because no such facility was available in your neighborhood or whether there was some other reason. Looking at these market shares, it seems to me we are starting to see some consolidation. 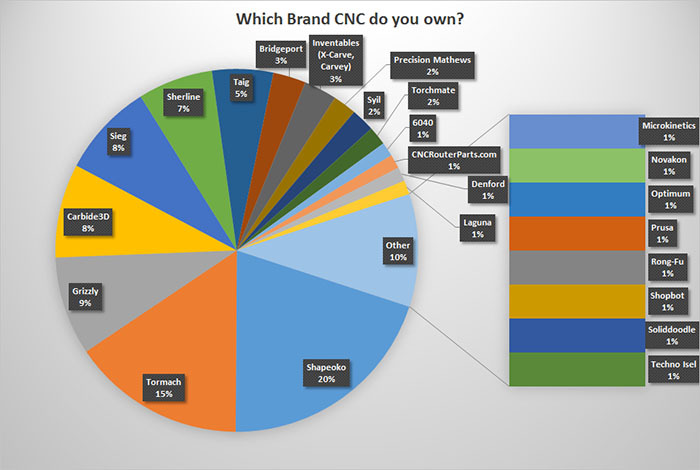 In the entry-level CNC Router market, Shapeoko + Carbide3D have a huge lock–their combined market share is 28%. 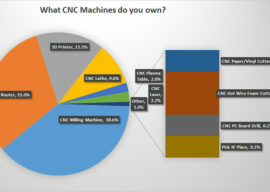 The next nearest is Inventables with a 3% share. 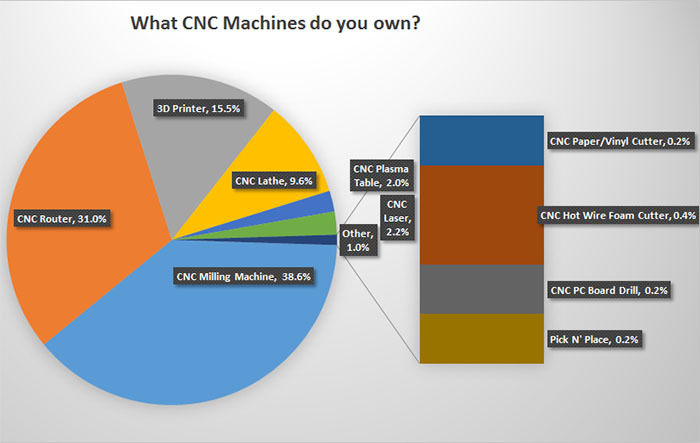 In the Pro-Sumer category, Tormach is tearing it up with 15% market share. Grizzly (9%) and Sieg (8%) are each doing a business that is largely providing the donor mills for conversion projects. 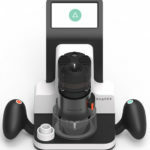 Given how inexpensively one can acquire a very good working machine, I will be curious to see how the DIY Conversion market does going forward. 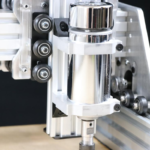 As I have written before, with the new Tormach 440 mill’s pricing, it is hard to justify building your own as a cost-saving measure. 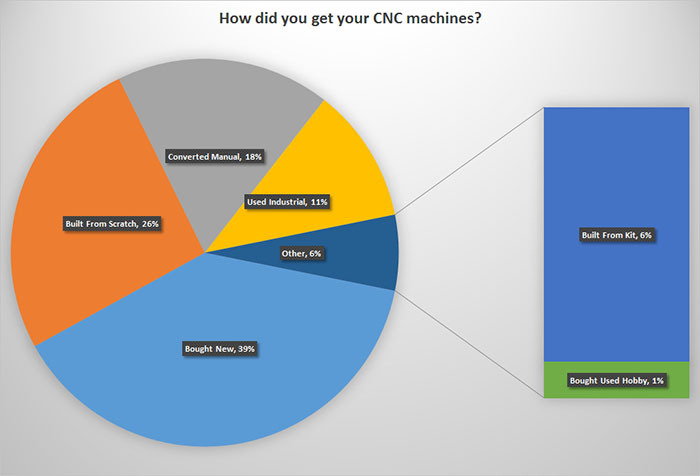 That’s not to say people will quit building and converting CNC’s–there’s a lot to be learned and sometimes you just want to have fun with a project like that. But it is harder to justify economically. 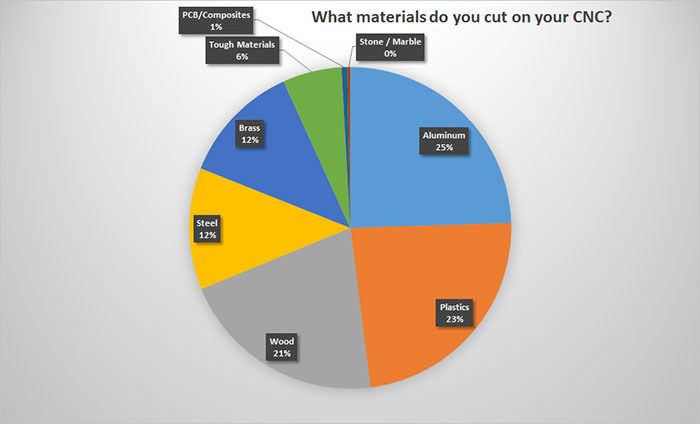 This was the most interesting and fun part of the survey to me. 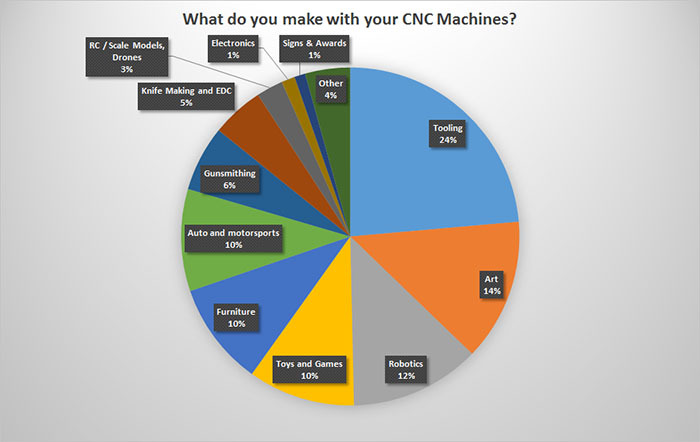 Perhaps it would’ve been easier just to ask what don’t you make–our CNC’ers have got their fingers into every conceivable pie. Of course everyone makes lots of tooling. 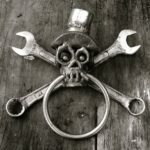 People I talk to are often disappointed that I don’t have a lot of things to show them I’ve made except tools. 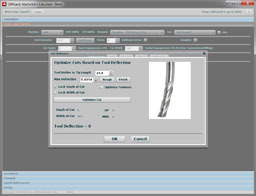 Invariably they want to know when I will have made enough tools and I can actually make SOMETHING? Robotics put in a strong showing–apparently lots of interest in it. Great survey Bob. Always interesting to see what others are doing. I can’t seem to find the link to take the survey. Can you direct me please. 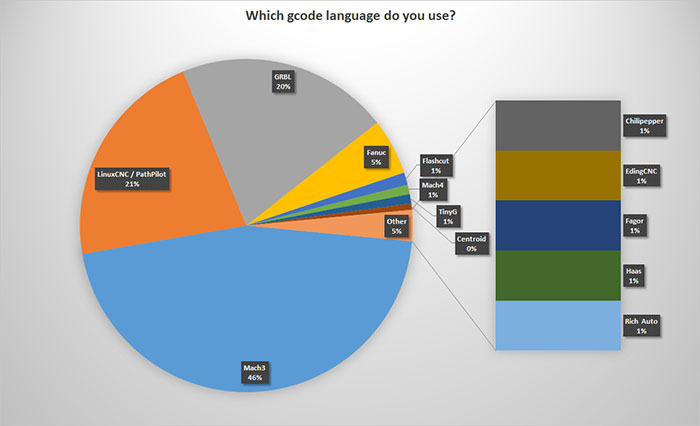 This is a most interesting article and does give good insight into what us G-coders does, specifically after hours.